(CBS/AP) NASHVILLE, Tenn. - Authorities are looking for 20-year-old Holly Bobo, a west Tennessee woman who was last seen being dragged from her home by a man dressed in camouflage. Investigators believe Bobo may have been abducted in a home invasion on Wednesday. The Tennessee Bureau of Investigation says that her 25-year-old brother told investigators that he saw the man dragging his sister across the carport at her family home and toward a wooded area. Authorities said Bobo was on her way to school. 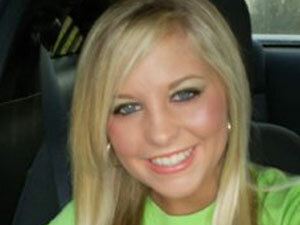 She is a student at the UT Martin campus, according to CBS affiliate WTVF. The Tennessee Bureau of Investigation's Violent Crime Response Team was gathering evidence at the home in the community of Darden in Decatur County. Bobo is 5 feet 3 inches tall and weighs 110 pounds. She was seen around 7:30 a.m. wearing a pink shirt and light blue jeans.